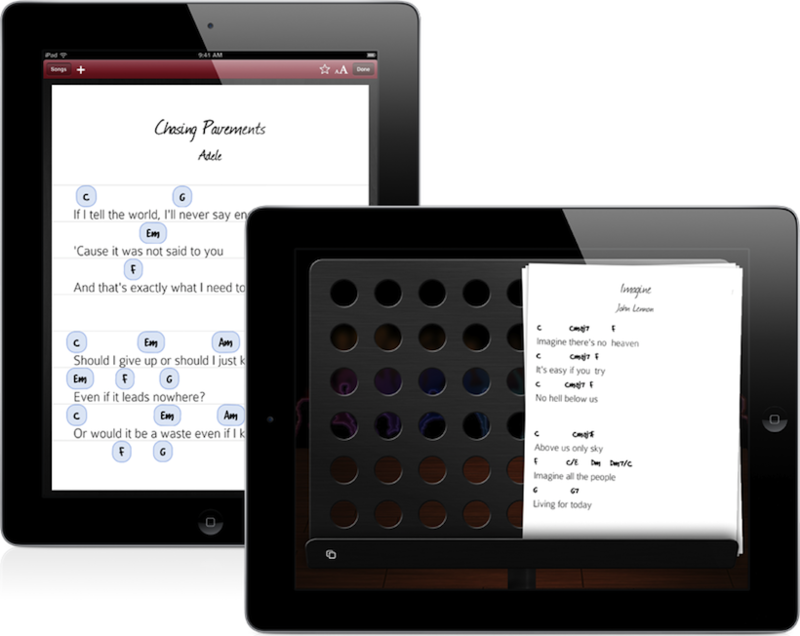 Chords + Lyrics is designed to focus on the tasks at hand for amateur musicians. 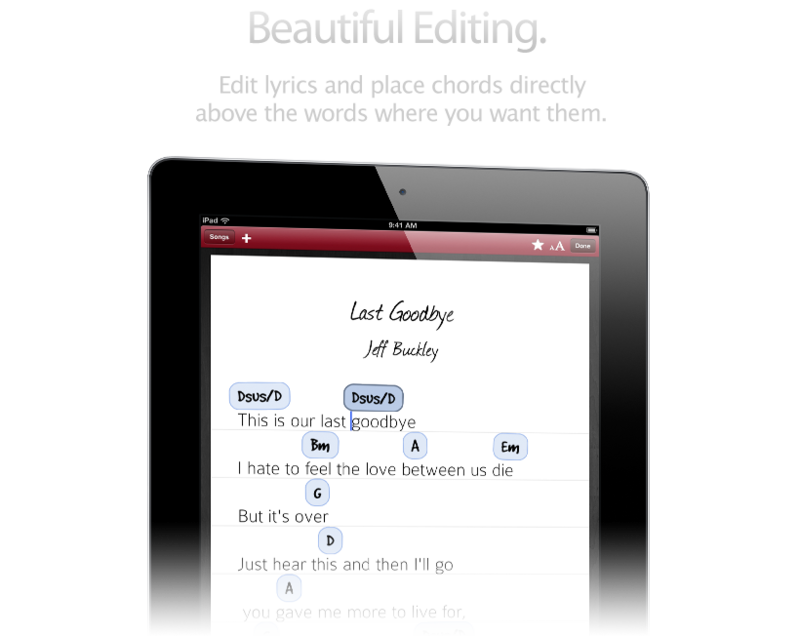 A beautiful editor for your favorite songs. 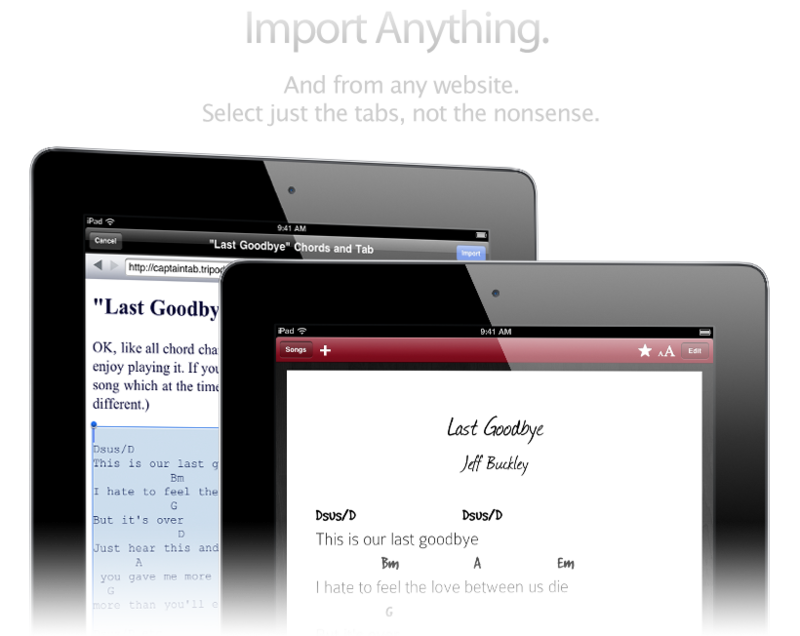 Rearrange chords, add lyrics and clean up songs downloaded from the internet. Import songs from any web address. Simply surf to your favorite tab or chord website and tap Import. 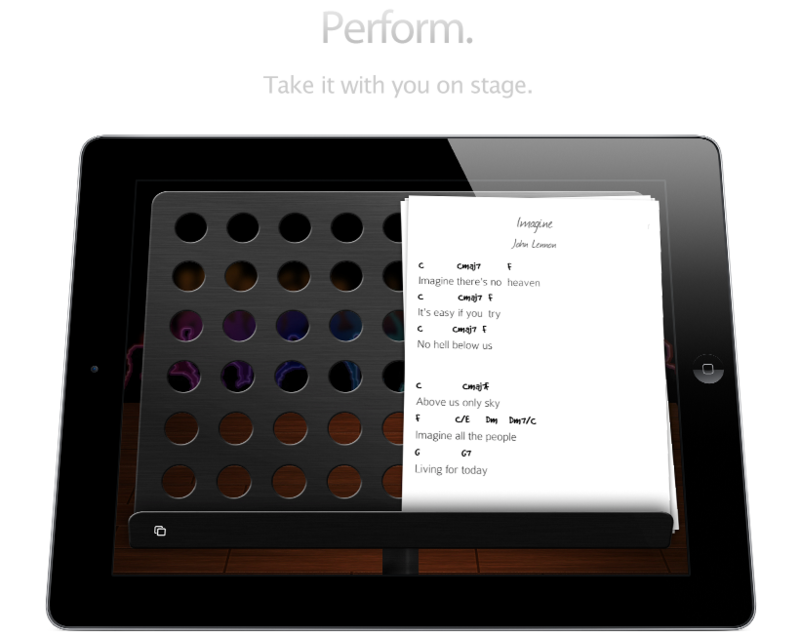 Rotate the device to switch to performance mode to use it on stage with your band. 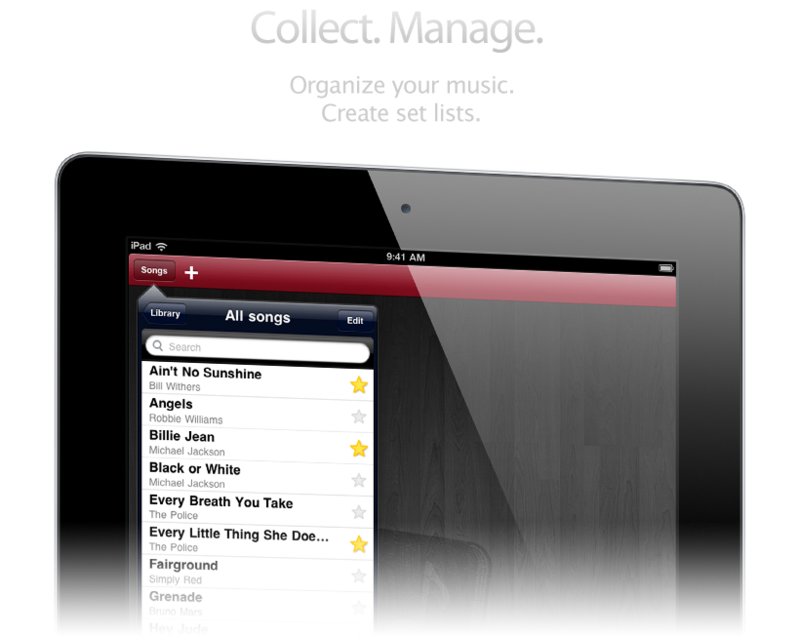 Transpose your songs with ease.